This application is used to design section profiles and determine their geometric properties for custom beam cross sections which can be composed of different materials. CADRE Profiler is the only section property application available that provides two entirely independent means of validating section properties so that one method can be use to check the other. 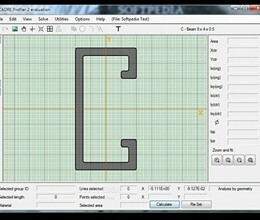 * CADRE Section Profiler download link provides trial version of the software. CADRE Zipwire is a tool that can be used to analyze taut elastic wires or cables with a point load. 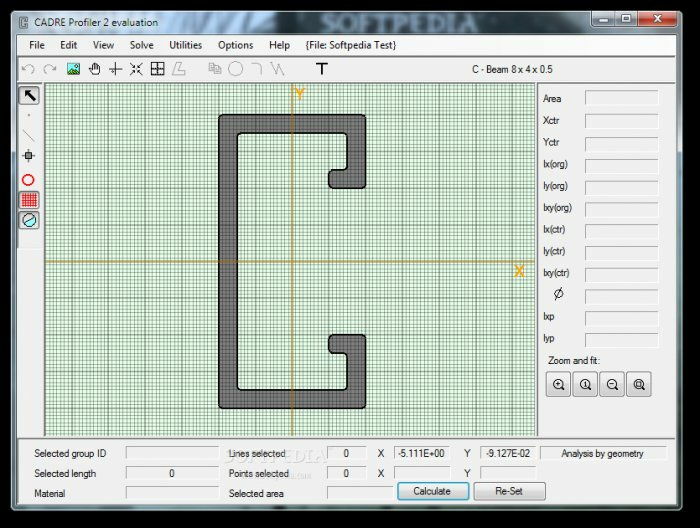 Cross Section Analysis and Design can handle structural cross sections that are built up of one or more geometric entities and can be drawn directly using the versatile featured user interface. Regression analysis is a multifunctional curve fitting application provided free of charge. CADRE Section Profiler has been rated 1.0 out of 5 points. A total of 1 votes cast and 0 users reviewed the software.